If you have been accused of assaulting family members multiple times over a specific period in Dallas or Tarrant County, you may be charged with continuous violence against the family. This is an extremely serious felony charge. If convicted, you could face years in prison, thousands of dollars in fines, and a blot on your criminal record that could keep you from gainful employment for the rest of your life. You can’t afford a conviction, and this charge is not to be taken lightly. If you have been charged with continuous assault against the family in Dallas or Tarrant County, you need to get legal help now. 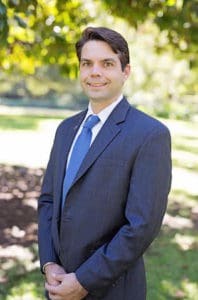 As a former Tarrant County prosecutor, Dallas criminal defense attorney RJ Harber knows how family violence cases work on both sides. He has the experience needed to build a strong defense and minimize your chances of conviction or the penalties you might face. Contact the Law Offices of RJ Harber today to get in touch with a continuous violence against the family lawyer serving the DFW area and start fighting back against your charges right away. Continuous violence against the family will be brought as a single charge and not along with other related charges, unless those other charges allege an offense outside the 12-month period, are a lesser included offense, or are brought as an alternative. In addition, no one can face more than one count of continuous violence against the family in Texas, as long as all of the alleged conduct was against a single person or members of the same household. Nonetheless, one count of this charge alone is bad enough: continuous violence against the family is a third-degree felony that comes with severe penalties. Think about the impact that even the lower end of these penalties could have on your life. Even a few years in prison could throw your life completely off course. Even a few thousand dollars in fines could wreck your bank account. In addition, if you are proven guilty, you will be a convicted felon, which could make it nearly impossible for you to get a good job even after you finish serving out your sentence. To escape the charges or minimize your penalties, you will need the help of an experienced Dallas criminal defense attorney. Once you have been accused of continuous violence against the family or any other domestic charges, you will be living under a microscope in a very sensitive situation. Your family members may move out, or force you to move out. They may even get a restraining order against you. If that happens, you must be extremely careful to follow the terms of the restraining order faithfully. You may not think it is fair, but you will have to cease contact as you have been ordered to, as you cannot risk another criminal charge against you. Even if you have not been served with a restraining order, it is best to avoid contact with the family members who have accused you of continuous violence against the family. Everything you say and do to them can and will be used against you as prosecutors build their case against you. Carefully consider your every word and move, and get in touch with an experienced lawyer as soon as possible. These and other steps will help to reduce your chance of a conviction or at least reduce the penalties you might face if convicted, but only a lawyer knows how to take them successfully. The sooner you get started working with a defense attorney, the stronger your defense will be. If you have been charged with continuous violence against the family in Dallas or Tarrant County, you don’t have a moment to spare. These charges could upend your life completely, but with help from an experienced Dallas continuous violence against the family lawyer, you can start to fight back. For more information on how the Dallas criminal defense attorneys at the Law Offices of RJ Harber can help, call now at (214) 389-1189.